Sudden death challenge: deck and tips | Clash Royale fan-site! 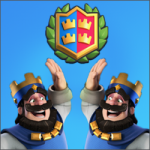 Sudden death challenge is type of Clash Royale challenges in which battles continue until first destroyed tower! 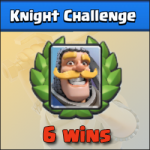 In other words, the player who first destroyed any of opponent’s tower win the battle! A distinctive feature of Sudden death challenge is that elixir recovery speed is doubled during the whole battle (just like in the last minute of common gameplay battle). 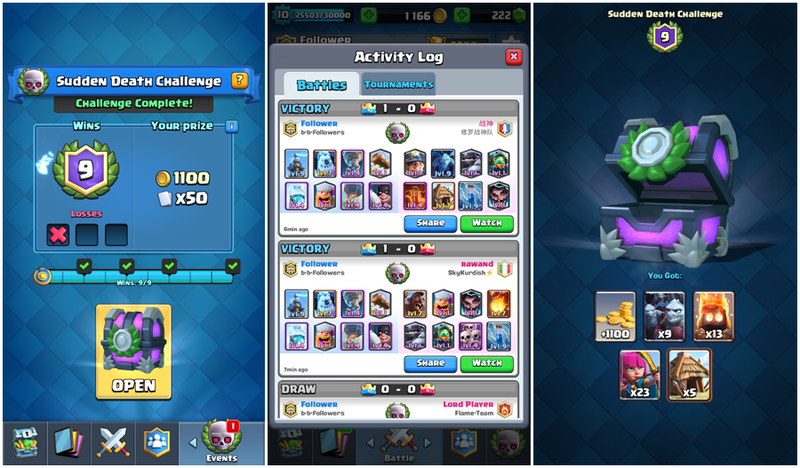 In this post, I’ll share a good deck for this challenge, with which I managed to get all 9 necessary wins with only one loss. 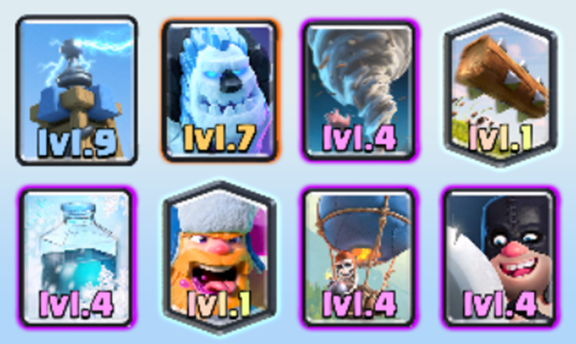 Executioner, Tornado, Log, Tesla and Ice Golem. These cards are the defense! Executioner, Tornado and Log – swarms control; Ice Golem and Tesla – for distraction. In case if you want to change some cards from the list for other ones, I advise you to keep pair “Executioner+Tornado” in the deck in any case. 1) First type – players wich will try to “spam” you defense with swarms of low hitpoint level units such as Goblins, Spear Goblins, Skeleton Barrel, Goblin Barrel, etc. Exactly for such situations, you have to have enough of spells in the deck. Moreover, exactly for such situations you have to have an area damage troop as Executioner is! 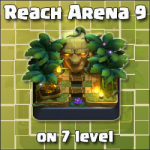 2) Second type – players with heavy tanks in their deck such as PEKKA, GOLEM, etc. As a rule, such players try to destroy tower with only one attack by creating a powerful push!.. And building is the best answer for such push! By the way, building is a very good Hog rider distractor also! 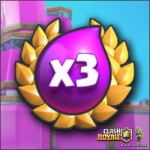 « Triple Elixir Challenge: win deck and tips!